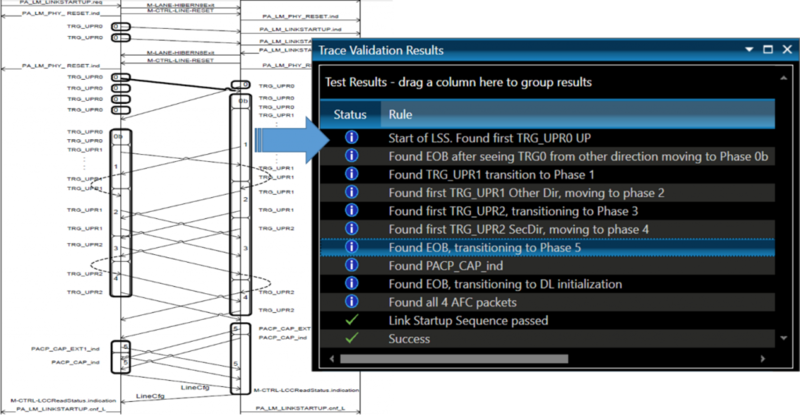 UNI16COMP UniPro Test Executive™ expands CTS conformance testing and adds powerful debug capabilities for common UniPro design challenges. Colorado Springs, Colorado, March 2, 2016 – Protocol Insight today released UNI16COMP UniPro Test Executive v1.1.3262, which is now available for download from www.protocolinsight.com/support. With 12 new CTS test cases supporting the UniPro CTS and the UniPro 1.61 specification, Test Executive now has a total of 53 CTS tests, covering most of the implementable tests in the MIPI UniPro CTS v1.0 Annex C.
Protocol Insight has provided extensive support for MIPI UniPro Interoperability Test (IOT) events, UFSA IOT workshops and Google’s Project Ara. Through these support activities Protocol Insight has learned that the most common challenges implementing UniPro and UFS include, among other things, Link Startup Sequence execution, Power Mode changes, stress testing and error recovery. 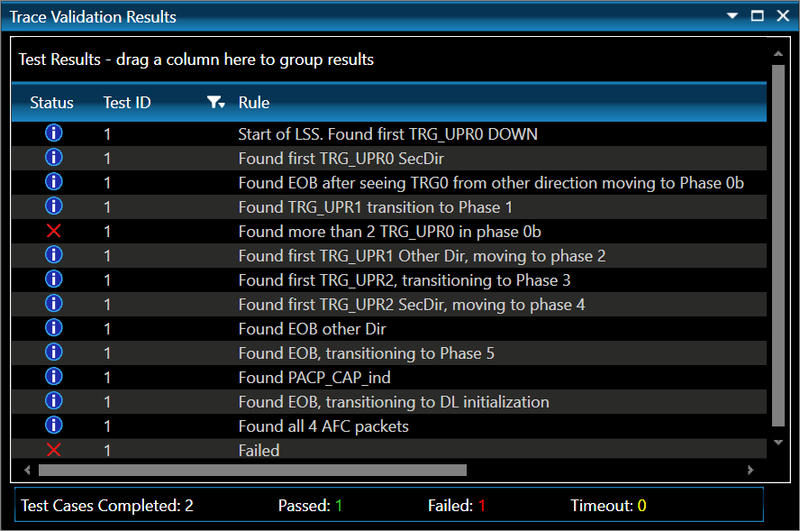 To address these challenges, Protocol Insight has added new debug and analysis features, including automatic testing of Link Startup on device reboot and the ability to stress test UniPro Scrambling and Auto/NonAuto Transmission modes using Test Run Order automated testing. UNI16COMP UniPro Test Executive is shipping now, and operates in conjunction with the Keysight Technologies U4431A MIPI M-PHY Protocol Analyzer. Contact sales@protocolinsight.com for pricing information or to request a demo or trail license. Protocol Insight has extensive experience developing protocol test tools, having been involved in the industries first Bluetooth, PCI Express, MIPI D-PHY and MIPI M-PHY protocol analyzer, exerciser, and compliance products. Protocol Insight is a MIPI expert, with a background developing both D-PHY and M-PHY protocol exercisers and analyzers. Protocol Insight contributes to the development of the UniPro standard thru the UniPro and Test Working Groups, and serves as Liaison between MIPI and JEDEC and UFSA.